Rhythm Fix wants to create a more rhythmically aware culture because drumming together strengthens our community. We may meet for the first time but as we play together, we give ourselves a rhythmical massage, an emotional release and a healing. As membraneous amplifyers the drums acoustic vibration effects us all. 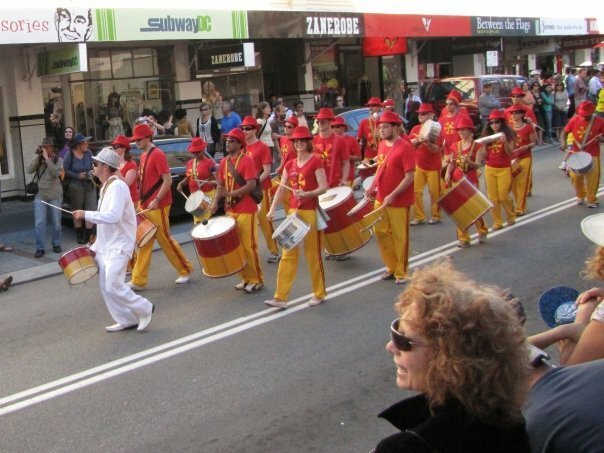 We can provide you with skilled drumming and dance workshops, unifying drum circles, passionate facilitators, energising world music performances, street acts and Djs, interactive school incursions, ongoing drum and dance classes and we can also skin, tune and repair your broken drums. We drum for fun and fitness, a sense of community, an introduction to rhythm and percussion technique, for musical expression, stress-reduction and wellness and for an experience of unity. The spirit and magic of rhythm expressed on drums and percussion instruments cuts through all ages, sexes, religions, races, language and cultures. # We also run weekly drum circles for people with disabilities like at our Jam Fix North Freo Fridays & Jam Fix Guildford Mondays and Lynwood Thursdays. More information on these sessions can be found HERE. if you can organise a minimum of 10 participants at $20 each. Firstly, its just really good fun! You are walking down the street past some busking bongo player and your hand spontaneously feels drawn to hit the skin, you can’t walk past without having a bash on the drum. Most of us have this probably deep ancestral memory of the drums significance and importance to us and our community. Although historically repressed in us westerners (precisely because of its power to liberate and bond community) this need for rhythmic expression is now resurfacing in old and new forms all over the globe. 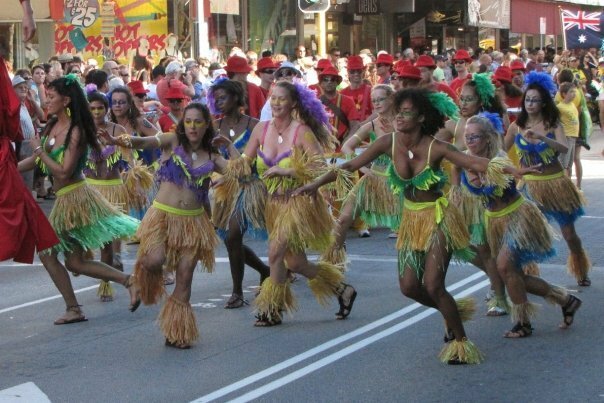 The richness and wealth of a Country is in the culture, the music and art of the people. Apart from the obvious cardio workout, drumming provides health benefits which are now starting to be officially recognised with recent studies with beginners proving drumming together increases the T-cell count in the blood stream which helps in the fight against cancer and disease. Drummers have been found to easily enter alpha brainwave states. 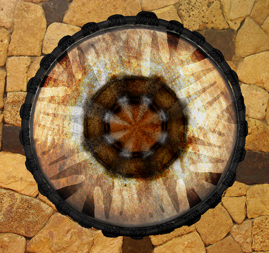 We drum for fun and fitness, a sense of community, an introduction to rhythm and percussion technique, for musical expression, stress-reduction and wellness and for an experience of unity. The spirit and magic of rhythm expressed on drums and percussion instruments cuts through all ages, sexes, religions, races, language and cultures. "Rhythm", as Gabriel Roth says, "is the mother tongue." Rhythm is a universal language known to every one, even the youngest child, if we can just "remember." So in a very objective, yet beautiful way, an interactive rhythm event puts us all on an equal footing with each other and brings us closer together. The facilitator serves this process by guiding the participants to their highest musical potential. Facilitate means ‘to make easy’. 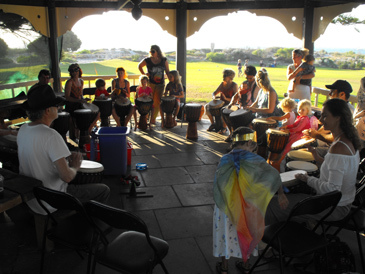 A community drum circle or workshop is created, "in the moment" by all the people who participate. Co-operation and collaboration is the basic glue. When we drum together, sharing our spirit in the form of rhythm, it changes our relationships. As we play together, we give of ourselves and give out a rhythmical massage and an emotional release. The experience is unique to each person in the circle, and it happens whether we are entraining ourselves into the circle by drumming, or standing outside the circle and listening while tapping our feet and clapping along with the music. Teambuilding for corporations and empowerment building for men’s groups. Spirit building for spiritual growth and personal growth groups. Synergizing and rhythm training for school/kids groups. Stress and anger relief for kids- at-risk groups. Orientation for college campuses and on-going circles for multi-cultural awareness. Family bonding at family night drum circles and community building and market building for music stores. When the circle works as a team, everyone benefits, because we all hit THE GROOVE, where the energy flows, time stops and we all evaporate....that bliss only occurs when the circle works as a team. Those principles carry over into everyday life. There are many reasons for why a gathering of people in a circle is powerful. A circle is a shape that is found repeatedly throughout the natural world, and it is a symbol of perfection. We recreate this perfect shape when we join others to form a circle. Being in a circle allows us experience each other as equals. Each person is the same distance apart from the next participant, and no one is seated higher than or stands apart from others in a circle. From tribal circles to the mythical round table of King Arthur, the circle has been the shape adopted by gatherings throughout history. The circle is acknowledged as an archetype of wholeness and integration, with the center of a circle universally understood to symbolize Spirit - the Source. When a group of people come together in a circle, they are united. This unity becomes even more powerful when each person reaches out to touch a neighbor and clasps hands. This physical connection unites thought and action, mind and body, and spirit and form in a circle. Because a circle has no beginning and no end, the agreement to connect in a circle allows energy to circulate from one person to the next, rather than being dissipated into the environment. Like a candle used to light another candle, the connection with spirit that results when one person joins hands with another is greater than if each person were to stand alone. People who take part in a circle find that their power increases exponentially while with the group. Like a drop of water rippling on the surface of a pond, the waves of energy produced in a circle radiate outward in circular motion. While one person may act like a single beacon that emanates light, a circle of people is like a satellite dish that sends out energy. There is power in numbers, and when the commitment is made by many to face one another, clasp hands, and focus on one intention, their circle emanates ripples of energy that can change the world. We are meeting for the first time.